You can’t overestimate the value of good night’s sleep. Jane and Doug Pinto have worked tirelessly to help their twin daughters, Mesa and Lilly, get the most restful sleep possible. The twins have had trouble sleeping since birth, and Jane and Doug know it’s important to make even the briefest shut-eye count. Their latest endeavor, called Sacred Sleep, combines cotton and eucalyptus fibers to create the ultimate comfy sheets. The luxuriously soft sheets incorporate eucalyptus for its unique hypoallergenic and moisture-wicking characteristics. The fibers, which are produced from the wood pulp of eucalyptus trees, keep you cool and comfortable in bed, even on hot nights. Eucalyptus is naturally antimicrobial, plus it’s a renewable resource that requires no fertilizer or insecticides to grow. (Sacred Sleep sources its eucalyptus from sustainably managed forests in Brazil and South Africa.) It’s also durable: Wash after wash, Sacred Sleep’s sheets resist fading, shrinkage and pilling. Inviting, luxurious, clean and cozy . . . Sacred Sleep sheets make it hard to leave the haven of your bed. With good sleep, we are more positive, happier, and more vibrant— our true light. Our goal is to help you commit to a rigorous intention around rest and renewal. It is a matter of spiritual joy. Sleep wellness is critical to overall health. Sacred Sleep is on a journey to help all us sleep better, feel better; experience a whole, healthy life. Their linen sets and mattress encasements are beautiful, highly functional and environmentally sustainable. I'm a very happy customer. Thank you David for your kind insights. We are delighted that you love our products as much as we do! Thank you for helping to spread the word of Sacred Sleep. Is it possible to purchase pillow cases separately? I have four king pillows on my bed and need an extra set in addition to the ones that come with the sheets. I hope this helps provide some direction. Thank you again! I see that is says the sheets are machine washable, but can you machine dry them or do they hang to dry? Excellent question! Yes, the sheets can be machine dried. These sheets are tested to withstand the harshest of care environments and results show them lasting 2-3 times longer than 100% cotton sheets. We recommend a warm dryer temperature. Also, you will notice that you will need a very limited time in the dryer for these sheets. I can't find any info on where your sheets are manufactured. I have a set of Eucalyptus sheets and they are absolutely the best I've ever owned but they are imported. These are about twice what I paid for mine but I'd be willing to pay this price if they are American made. @Sarah I too am interested in a reply to this question. Are these sheets American Made? Hi Sarah, I apologize for the lack of information regarding manufacturing. We will make sure to make that available for all. 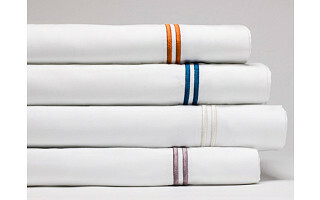 Eucalyptus bed linens come in a variety types and qualities, just as the Eucalyptus tree does. Sacred Sleep's linens are lovingly made in a state of the art facility in Pakistan. Our future goal is to bring a part of this production, if not the entire process to the Unites States. It is important to us that all of our supply chain partners a hear to the highest level of repsect care for each other and our planet and we stand beside that amazing partners that work with us. Please let me know if you have any other questions regarding country or origin and production, I am happy to provide you any and all details. I'm really intrigued by this product, but I see they only fit 13" deep mattresses! That won't even come CLOSE to fitting my Tempurpedic with pillow top! I have to find sheets with 17"-18" drop. Any future plans for producing sheets for the increasingly-common thicker mattresses? Hi Melanie, thank you for your interest in Sacred Sleep. We have found that the 13" drop is a conservative measurement and will fit most mattresses. Our customer's satisfaction is a top priority and we always offer full refunds. 1. We are looking into developing a new line incorporating multiple sizes that will be available later this year. 2. You are welcome to try this current line and if it does not work you can return them. 3. We have a very limited amount of Pearl Moon California King Sheet Sets that have a 16" drop that we could swap out for you with not additional cost. Please let me know how we can serve you best. You told Melanie you had California king with a 16" drop at no additional cost. I don't see this option. Is this option available to all of us and where do we order that size? I know a 13" drop would not work. Thank you. I hope this helps provide you with some direction. Please let me know if there is anything else I can do and how we can serve you best. Thank you for your interest in Sacred Sleep. Hi Jill, this is a valid concern! We all love our sheets so much that we wash them and immediately put them back on our beds. Who doesn't love slipping in between cool, crisp, freshly washed sheets? It is always a good idea to fold them or put them back on your bed after washing and drying. They really are beautiful out of a warm dryer. @Erica The sheets are described in one post as "soft" and in this one as "crisp". those are two quite different qualities. I am all for CRISP and dislike "sateen" and microfiber. I like the old fashioned percale sheets that were truly crisp, and I am not sure what your sheets feel like. .
My question voices a concern that Eucalyptus is the only food source for Koala Bears. Those forests are disappearing at an alarming rate. While I am hopeful that the Eucalyptus used in theses sheets are not of Australian origin, I still think it's important to make the public aware of the plight of those beautiful little animals. Therefore, I would like to know where the Eucalyptus is sourced from. Furthermore, it would be great if you set up some sort of foundation to help with new growth of these trees and save the Koala Bears. (I am not an Aussie). Best, Linda G.
Thank you for bringing this important issue to the conversation. We share your concern for the forest and its inhabitants. All of our eucalyptus is harvested from sustainably and responsibly managed forests in Brazil and South America. 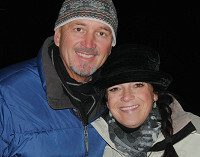 We love your idea of contributing to the koalas as part of our company's plans for giving back. If you could make these sheets where you not have to buy them in set. I have twin beds put together to make king size. would love to have twin fitted and king flat. Thank you for your interest in Sacred Sleep. We wish we could accommodate you. At this time, we do not offer twin sized sheets. We are looking into developing a new line incorporating multiple sizes that will be available later this year. Once you click into the product by clicking "shop" you will find the details with all of this information. The thread count for these sheets is 350. Do the sheets smell like Eucalyptus? I hope this is not a dumb question - I'm just curious. Sabrina, this is an excellent question! No, our sheets do not smell like eucalyptus. Our sheets are woven using fiber created from the pulp of the eucalyptus tree. The wonderful eucalyptus smell we all love comes from the leaves. You can’t overestimate the value of good night’s sleep. Jane and Doug Pinto have worked tirelessly to help their twin daughters, Mesa and Lilly, get the most restful sleep possible. The twins have had trouble sleeping since birth, and Jane and Doug know it’s important to make even the briefest shut-eye count. 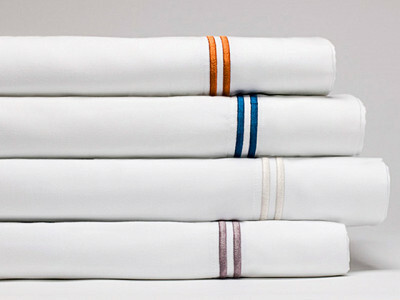 Their latest endeavor, called Sacred Sleep, combines cotton and eucalyptus fibers to create the ultimate comfy sheets. The luxuriously soft sheets incorporate eucalyptus for its unique hypoallergenic and moisture-wicking characteristics. The fibers, which are produced from the wood pulp of eucalyptus trees, keep you cool and comfortable in bed, even on hot nights. Eucalyptus is naturally antimicrobial, plus it’s a renewable resource that requires no fertilizer or insecticides to grow. (Sacred Sleep sources its eucalyptus from sustainably managed forests in Brazil and South Africa.) It’s also durable: Wash after wash, Sacred Sleep’s sheets resist fading, shrinkage and pilling.